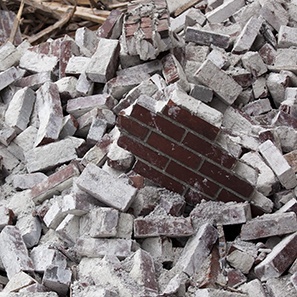 Whether the matter at issue involves a large loss construction-related subrogation claim – such as a catastrophic condominium loss – or a residential construction loss, our lawyers have the experience to assist you with handling your complex claim. Our subrogation team works with you to promptly investigate the loss and identify possible targets no matter whether the loss at issue results from a fire, water loss, collapse, the removal of lateral support or an equipment failure or an explosion. As part of our subrogation investigation, we work with a nationwide panel of experts and analyze possible defenses. In construction cases, where there are frequently multiple tiers of contractors, the parties often use American Institute of Architects (AIA) contracts that expressly address subrogation claims. Our lawyers routinely analyze these clauses and, consequently, they understand the nuances of these form contracts’ terms and can determine whether the applicable jurisdiction applies these clauses to, for example, post-construction losses or losses to non-work or adjacent property. We are proud to have been involved in one of the leading cases addressing the scope of an AIA subrogation waiver clause (John L. Mattingly Constr. Co. v. Hartford Underwriters Ins. Co., 999 A.2d 1066 (Md. 2010)), where the court, agreeing with our position, found that the phrase “the Work” in the AIA contract clause at issue was ambiguous and, thus, the defendant was not entitled to summary judgment. determining how a state’s statute of repose impacts the claim and whether, in cases involving multiple contractors, there are different accrual dates. Whether your case involves a waiver of subrogation clause, the economic loss doctrine or another construction-related issue, you can be sure that White and Williams stays informed on construction-related developments taking place around the nation. In addition to keeping its lawyers informed on these issues, our subrogation department frequently provides updates regarding construction-related trends and cases in its blog, Subrogation Strategist, which we hope that you follow.